I was trained in painting and drawing and got certified as a visual arts teacher in Chicago. In 1998, I was going through the certification process and pursuing my graduate thesis when I became really activated by the Internet and the possibility of Web and interface design with students. I had no college degree in any of this, but I had a desire to go where my students wanted to go and explore all the new ways of making visual art. From there, I had a unique international teaching experience in Honduras for a couple of years – where I had no computers – teaching art studio to grades 7-12. I moved from there to a school in Korea, outside of Seoul, where I was hired as the computer teacher and developed a graphic and Web design program. Then I came back to the states and pursued my Ph.D. at Ohio State, which was a strategic choice to enter university education. What does the professional landscape look like for art education students right now? There have been broad changes in terms of the opportunities for art educators. One is the certification process that’s changed quite a bit in New York State. There is also a growing attention to non-school types of learning environments – nonprofit and community-based organizations and cultural institutions like museums are filling a public need and providing opportunities that are quite different than public school systems, where you have constraints around standards and needs by administrators to assess student success. We’ve tried to pay attention to community arts programming through our Saturday Arts Lab and Summer StudioLab, and to incorporate learning in cultural institutions. Beth Thomas has developed a course that works with the Dorsky and focuses on learning in museums. 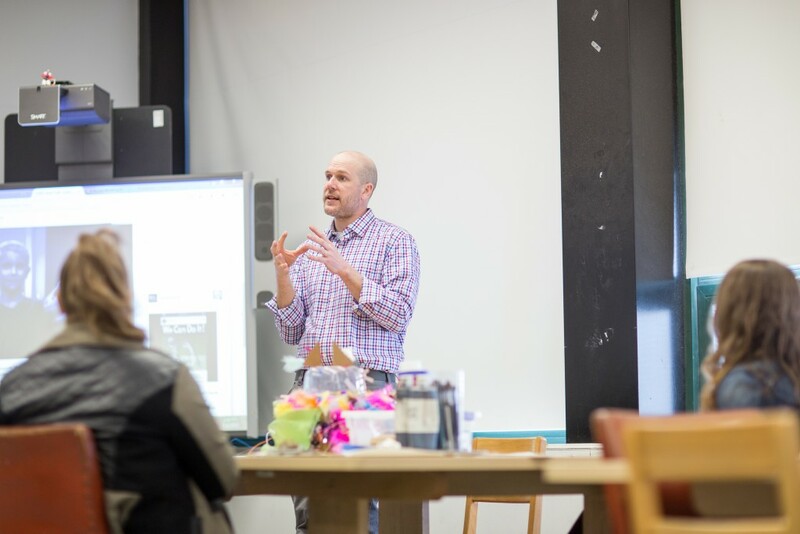 The spark that’s coming out of SUNY New Paltz is really activating innovators inside schools – teachers who are thirsty for something different that brings really impactful ideas into their classrooms. Funding and emphasis for art education in public schools is shrinking and embattled on all fronts. I’ve seen lots of school districts go from two teachers in a building to one teacher across three schools. The environment of public education is very much in need of advocacy for art education, and an understanding that arts learning contributes to core subjects, and is, I’d argue, a core subject itself. Why do you feel art is a core subject? 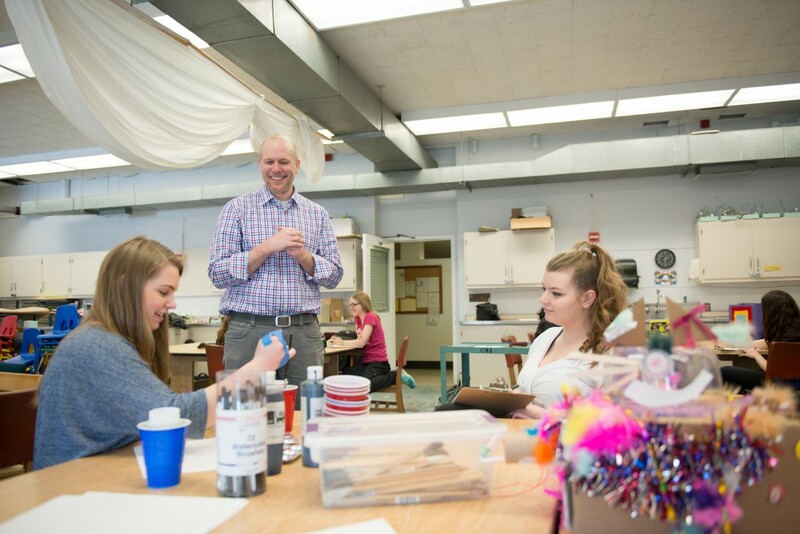 Art education focuses on experiential learning. You’re always in the process of developing a line of inquiry that results in making things, discussing how those things fit into the world, and who they influence. I see the art studio and the science laboratory being very similar; sciences and arts have a lot in common in the current environment of high-stakes testing and standardization. Art education is also naturally interdisciplinary. When you talk about a student needing to learn how to write, present ideas, have basic mathematic literacies – those things are constantly in the mix when you’re making art. Another reason I feel this way is the opportunity to support and enrich creative thinking. I don’t see art education as the only place where creative thinking happens, but art explores creativity in its own unique, nuanced approach that I think is an important part of that core subject matter in schools. If a kindergartener can understand what a 3D printer is, imagine how that kernel will grow in 10 years. What was the goal of last year’s STEAM It Up workshops? STEAM – science, technology, engineering, art, and mathematics – is a ground movement to recognize the range of ways students explore topics, and the ways that both art and science students have a need to implement what they’re trying to discover, design a way to get to answers, and understand the steps and appropriate modes or methods of expression. I see a firm overlap there, which is what the STEAM It Up workshops were all about. 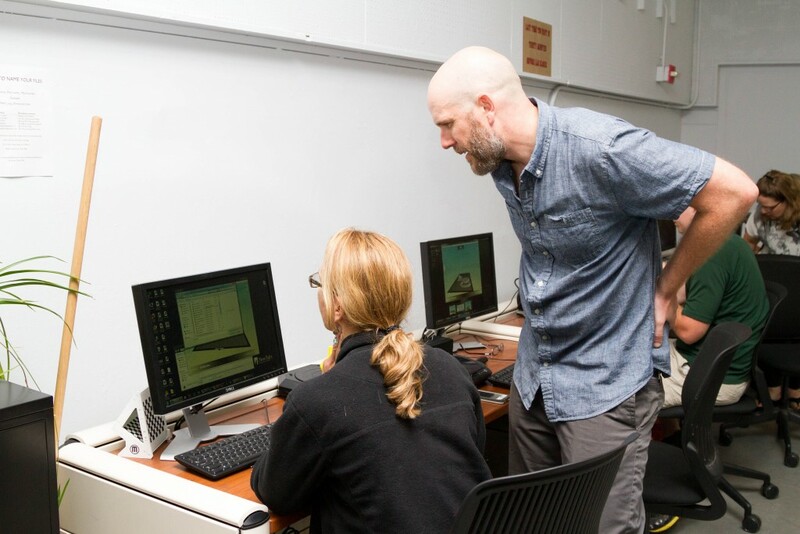 We have an incredible opportunity here at SUNY New Paltz to explore the Digital Design and Fabrication initiative as faculty. There are all sorts of arms to the initiative – commercial and private-public relationships, and opportunities for students to explore as-yet-unknown professions, which is really exciting. Teachers are all-too-often isolated because of the constraints they have within their own discipline to meet needs and outcomes and standards. 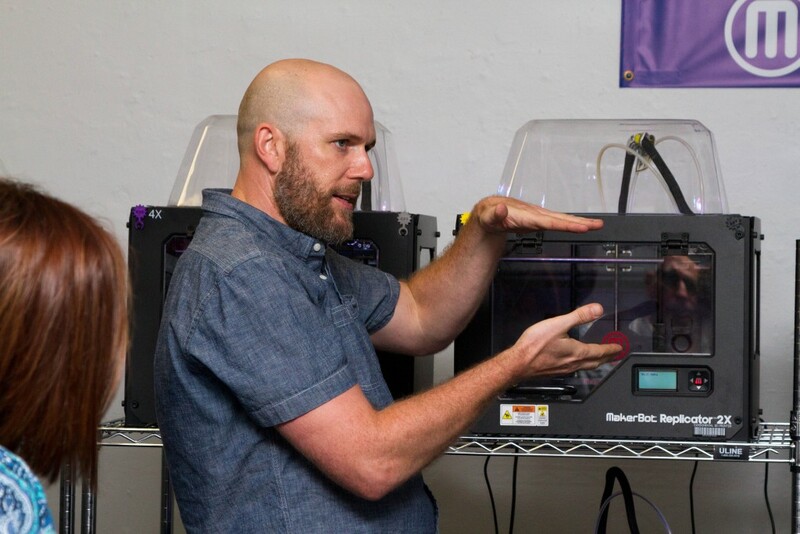 STEAM It Up was about bringing K-12 teachers from the Mid-Hudson Valley area together, introducing them to the capacities and opportunities of 3D printing, and giving them time to discuss what a curriculum might look like, and how we, as teachers, can bring rich experiential learning experiences to students. 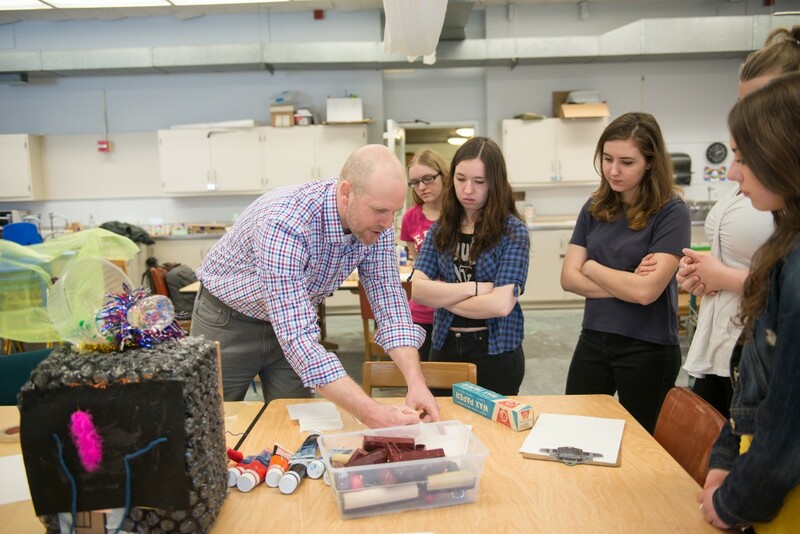 What we’re trying to do in art education, and what I see as being part of the larger mission of the Digital Design and Fabrication initiative, is bringing the role of exploration back into education. New Paltz is a great place to do that, but I’m always trying to interject the K-12 environment. If a kindergartener can understand what a 3D printer is, imagine how that kernel will grow in 10 years. 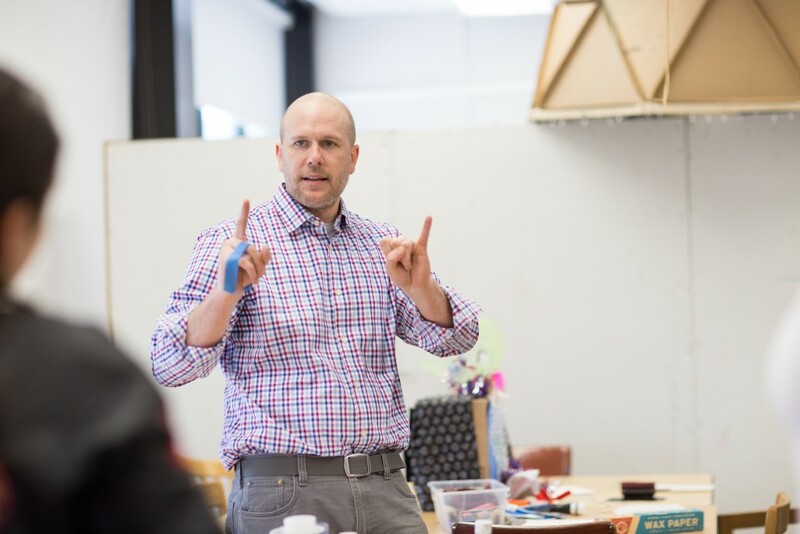 The spark that’s coming out of SUNY New Paltz is really activating innovators inside schools – teachers who are thirsty for something different that brings really impactful ideas into their classrooms.